Discover how to leverage the efforts of hundreds people to do your marketing for you, with our how to use paydotcom as your affiliate program videos. Having your own quality product and a great affiliate program is a proven way to make big money. 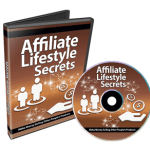 If you have never thought of setting up an affiliate program for your product you are missing out big time. When I first started out in internet marketing I tried to do everything myself, and to be honest I did quite well. However when I started to leverage the time and skills of other people my business really took off. 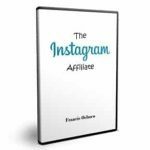 This is something you need to do to take things to the next step, and one of the easiest and least expensive ways to do that is through your own affiliate program. After all, it is cheap (or free) to set up and you only pay for results. In other words you benefit before you pay someone for their work. Fortunately the really hard stuff is already done for you and you can get started for free at Paydotcom. Everything you need is there, you just need to get things set up properly. As a product owner you get paid immediately when a sale takes place. The second reason is my favorite. You collect the money from your affiliates right away so you benefit immediately. Just be sure that you manage your money properly as you are obligated to pay them. You can have unlimited products on Paydotcom for a small one time fee, and transaction fees are very small. That makes this program a really good choice for most product owners. This video series is going to show you everything you need to know about setting up Paydotcom as your affiliate program.